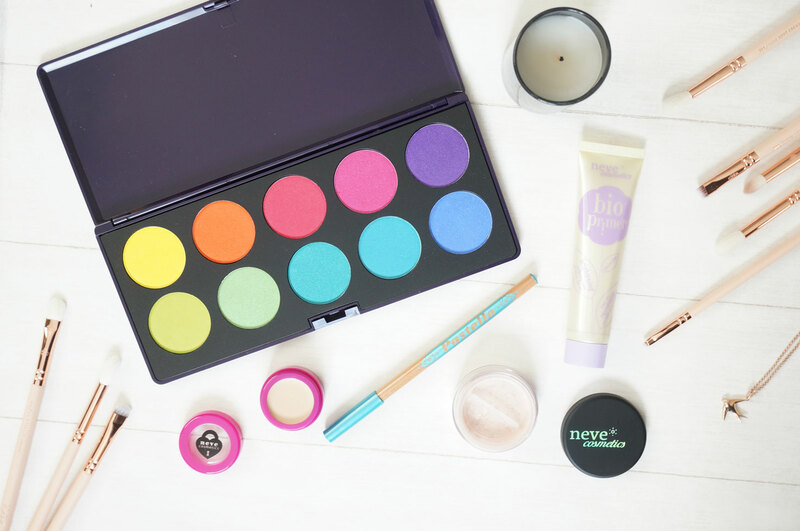 You know I love bright colours, and Neve Cosmetics really have hit the nail on the head here! I’ve got some fab products to show you today, including this amazing palette of rainbow eyeshadow shades, a brightening primer, coloured eyeliner pencil, concealer and illuminating powder. The Intensissimi Eye Palette (£21.95) contains ten bright and bold eyeshadow shades, in a fantastic array of rainbow colours. I know this isn’t going to be everyone’s’ cup of tea, so it’s also worth noting they have other palettes available with darker colours, pastel shades and neutrals too. I love that the palette is a really good size, and the pans are massive so you definitely get your money’s worth when it comes to the amount of product included. The only improvement I’d add is a mirror in the lid! And just look at the pigmentation! These colours rally are superb. 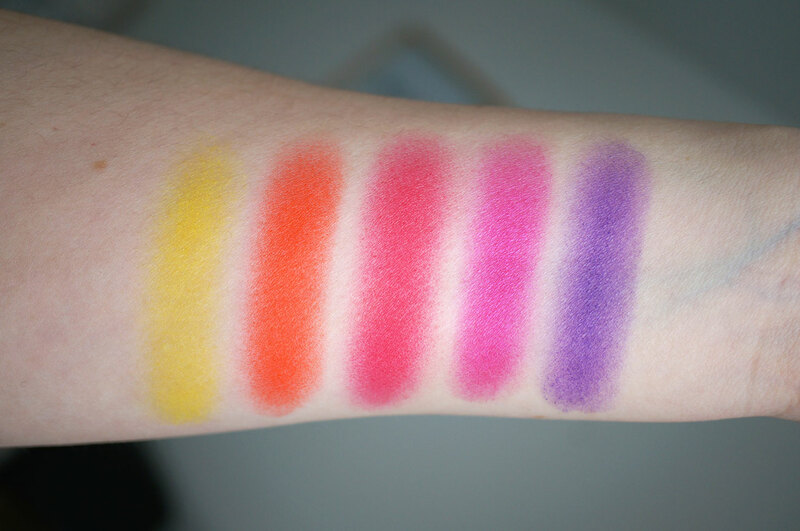 They’re super soft, full of pigment and are easy to apply and blend too. 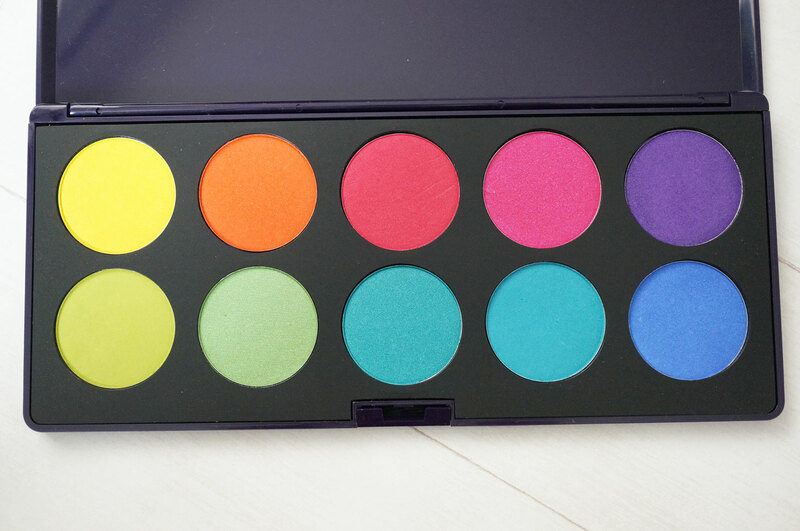 The only palette I have that I can compare this too is the Makeup Revolution Colour Chaos Palette, which is smaller in size but full of bright shades. 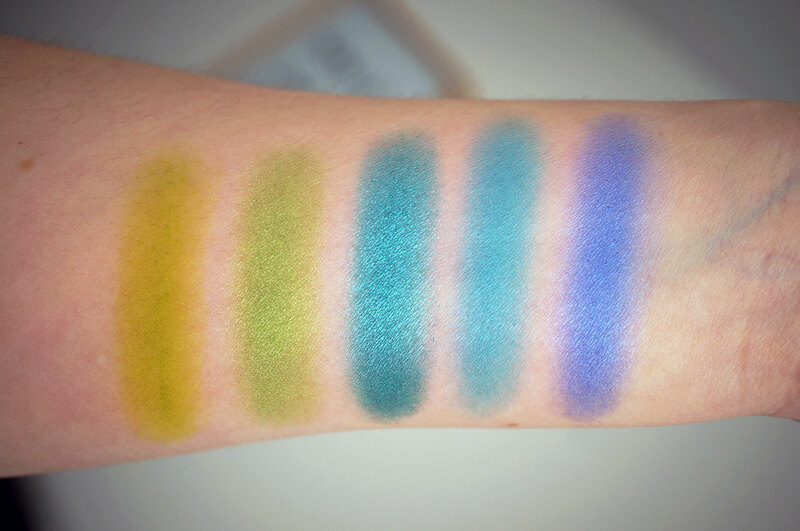 I think the Neve palette comes out on top just because the pigmentation is that much better, though I’d still recommend the MUR palette if you’re looking for a cheaper alternative. I also have the Hide and Seek Concealer (£6.95) – this is a handy little pot of cream concealer that really does the job. It dries to a matte powder finish, and it’s also vegan, silicone and paraben free. 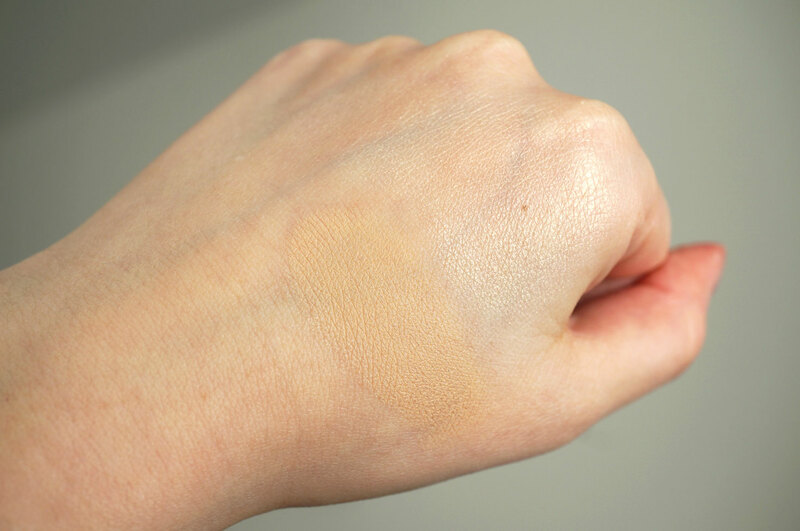 I have the second lightest shade which is Light and it’s definitely fair enough for my neon white skin tone. I love the super matte finish it gives – there’s nothing creamy or shiny about this product at all. I’m currently using it to help disguise my under eye dark circles and it’s doing a great job! The Illuminismo Face Powder (£9.95) is a gorgeous soft and silky weightless powder that highlights the complexion – it’s basically a loose powder version of MAC’s MSF’s. It’s perfect for creating highlights under the brows, on the cheekbones, or wherever you want your skin to catch the light. Again it contains no parabens and no silicones and it’s vegan and cruelty free. I have to say I really love the finish of this powder, it really is just like a MSF, but I think I’d prefer it in a pressed powder just for ease of use. And the BioPrimer Brightening Primer for dull skin (£9.50) – this is another vegan, cruelty and silicone free product, promising a smooth finish to the skin with brightening properties to enhance a dull or dry complexion. This sounds just what I need right now! It’s formulated with nourishing argan oil, protective shea butter and moisturising aloe extract, so this primer aims to give skin a healthy and radiant finish. I love that it gives the slightest hint of illumination to the skin, I couldn’t capture it on camera unfortunately. It’s not sparkly or shimmery, but definitely illuminating and just makes your complexion look a bit brighter. I’m really impressed with all of the products I’ve been using today, and I can’t get enough of the amazing eyeshadow palette. 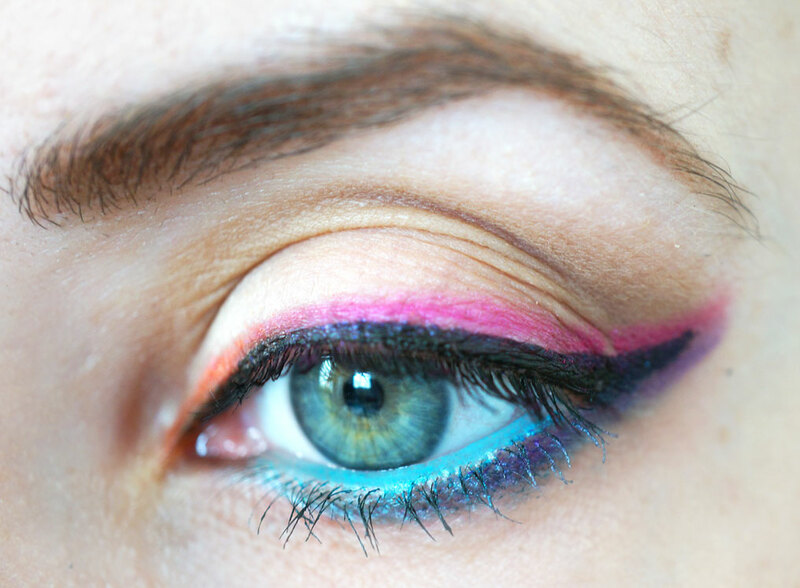 I’ve used some of the eyeshadow shades, and the Pastello Eyeliner Pencil in Turquoise (£3.95) in the waterline to creat a quick, fun and colourful eye look – what do you think? Neve Cosmetics are available in the UK from Cute Cosmetics – do check them out, as I brand I think they’re definitely underrated! And I also have a previous post on their lip products here. NEW Bourjois Winter Nail Polish Shades! Wow, what great bright and fun colours – perfect for the Spring and Summer!